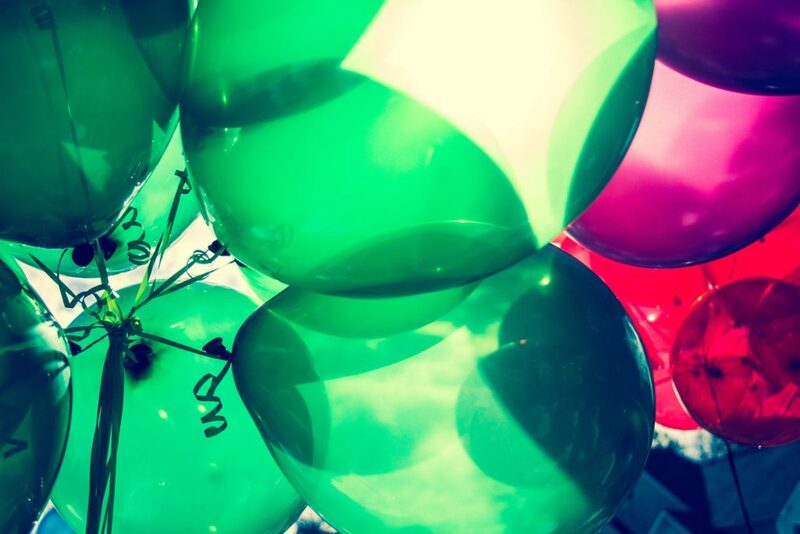 Should you force your child to “join in” at parties? We didn’t do a lot of birthday parties for Edward when he was younger as we pretty soon got the idea that he didn’t enjoy them. At his 5th birthday party we had invited a few friends round (mainly the children of our friends). We had organised some games and all the kids, with the exception of Edward, loved playing them. Whilst the games went on Edward was at the bottom of the garden having a fine time playing an imaginary fishing game whist seated on the top of the climbing frame, alone. “Edward it’s your party, do you want to come and play with your friends?” I asked him. “No” he replied. “I’m fishing”. I was torn between cajoling him to come and join in or allowing him to carry on having a thoroughly lovely time on his own. In the end, after considerable dithering on my part, Nick convinced me to leave him be so he could “fish” in peace. Later he joined in with the party tea and managed to blow the candles out on his dinosaur birthday cake. As he got older we abandoned parties all together in order to do something that he actually wanted to do. 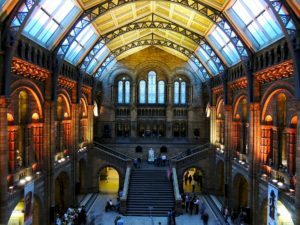 For about three years running this meant a day trip to London which involved doing one thing and one thing only – a visit to the Natural History Museum which was, according to Edward, the best place in the whole wide world. 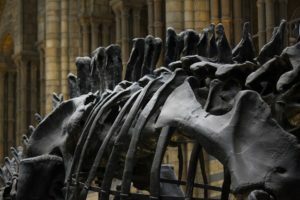 He was allowed to take one friend with him and so every year, off Nick would trot down to London, two boys in hand, to pour over models and skeletons of creatures past and present. It worked without fail. I have read comments from parents who have been given a hard time for not making their autistic children join in at birthday parties. The autistic child in this account was only 3 years old and terrified of the bouncy castle. Maybe his wider family didn’t understand or accept his autism diagnosis. Can you imagine being this child’s mum; trying to support her child to cope with a new experience as well as carrying the sadness and worry that comes when you see your child on their own, separate from others who seem to be having a great time together? All this whilst having to dodge the criticism darts being thrown her way by her own family? When I read her account I wanted to give her a hug and hand her a large G&T. She didn’t need those comments. Think about what would happen if you forced a child to join in a social activity when they were already overstimulated and stressed or if they were totally absorbed in another activity? Parents can easily find themselves in a lose-lose situation. They feel stressed about their child not joining in but they know that if they force their child to join in they’ll have an almighty meltdown to deal with. Of course autistic children do need to learn how to join in and be polite but this learning might have to be broken down into LOTS and LOTS of much smaller steps compared to a typical child. It makes sense to keep things much more flexible so that a child with autism can dip in and dip out of social interactions at a pace they can tolerate. Surely this kind of approach would work better for everyone? I’m thankful that my parents, in-laws, wider family and friends have all been unstinting in their support. I can only imagine how incredibly difficult parenting Edward would have been without this solid wall of people around us. If you have recently had a diagnosis of autism for your young child I would recommend finding out as much as you can about it (but at a rate you can cope with). Once you’ve absorbed the information pass it on to your family and friends. The more understanding people you can gather around you the better. Besides you’ll need to spend your energy on helping your child, not on defending your own parenting style. 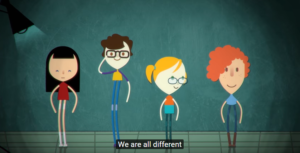 A couple of brilliant short films which show how a young autistic child might be experiencing the world could help relatives and friends gain more insight about your child and also how you are parenting them. 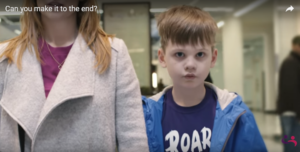 The National Autistic Society – Can you make it to the end? If you are in need of support because those near and dear to you simply cannot or choose not to understand then you might find that joining a local or online parent group opens up the door to a huge life affirming breath of fresh air as you connect with people who have been in your shoes; experiencing both the highs and lows of parenting a child who sees and experiences the world very differently; a child with autism.